To book: Call 888-627-8180 by July 9, 2019 and identify yourself as a member of the Southwest Society of Periodontists group or BOOK ONLINE. Availability is limited. Driving directions from MSY airport: From Louis Armstrong New Orleans International Airport, get on I-10 E in Metairie from Jerome S. Glazer Airport Access Rd and continue on I-10 E to New Orleans. Take exit 11 from US-90 BUS W. Take S Peters St to Iberville St. Merge onto Calliope St. Turn left onto S Peters St. Pass by Hilton Garden Inn New Orleans Convention Center (on the left in 0.2 mi). Turn right onto Iberville St. 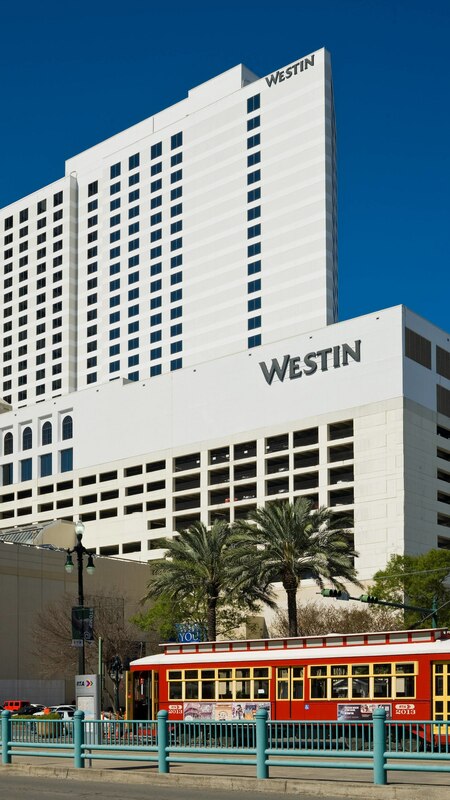 The Westin New Orleans Canal Place will be on the right.